Giant robots save us. It's just a matter of them coming from another planet, or if we make them right here on Earth. Pacific Rim gives us Jaegesr vs. Kaiju. Transformers (2007) gives us Autobots vs. Decepticons. Sure, Pacific Rim has the advantage of not being based on childhood toys, but that also means it might be a tougher sell at the box office. Luckily, there is one surefire way to figure out which one matters more, it's time for another Film Face-off, with Pacific Rim vs. Transformers. Sam Witwicky (Shia LaBeouf) is an awkward teenager who wants to be with a girl who is out of his league. It turns out he's the descendant of an Arctic explorer who discovered the AllSpark (it's superpowerful). Both the Autobots (good) and Decepticons (bad) are after the AllSpark. With the help of his newly purchased car (an Autobot in disguise known as Bumblebee), Sam helps save humanity. There is a slight spoiler here from the first 20 minutes... Raleigh Becket (Charlie Hunnam) is a great Jaeger (big robot) pilot, but tragedy strikes and his copilot brother is killed. Years later, he's convinced to come back to work and save the day from the Kaiju (big alien monsters). 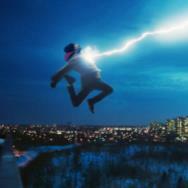 With the help of his new partner, he tries to shake off the cobwebs and save humanity. Winner: Transformers. If you can't remember back to 2007 LaBeouf, he was great. Disturbia was a nice little film, almost 100 percent because of his performance. There isn't a ton of action in the first half of Transformers, and LaBeouf's short, quick delivery of basic dialogue makes it completely work. His performance had me wondering if it would upstage all of the robot fighting. Since I don't watch Sons of Anarchy, Hunnam is still best known to me for his work on Undeclared. He's clearly hit the gym since then, but Pacific Rim doesn't allow him to showcase any acting range that might have developed. Raliegh disappears because his brother died, and that is brought up a lot, but then a basic speech from his old boss immediately brings him back to robot boxing. There is nothing but a blank slate going with Hunnam's face, though his American accent is passable. The Decepticon Blackout fights against the military in Qatar. Bumblebee rescues Sam from Barricade. Optimus Prime battles Bonecrusher. A big final battle takes place at Mission City, complete with an unfrozen Megatron. Raliegh and his brother fight a Kaiju. Russian Jaeger pilots, Australian Jaeger pilots, and the Wei Tang triplets fight two Kaiju. Raliegh and his new copilot fight Kaiju. The final big battle takes place underwater. Winner: Pacific Rim. While fighting Kaiju on paper doesn't sound that interesting, it's pretty visually stunning to watch. What director and cowriter Guillermo del Toro absolutely nails is the scope of the battles. You feel the size and strength of both of the Jaegers and the Kaiju. With Transformers there are moments. Unfortunately, most of the action employs SCS (shaky-camera syndrome). We've all heard about the detail that went into creating the Transformers, but they move so fast, have too many close-ups, and way too many Michael Bay fast cutaways. There are a few slow-motion shots that were like nothing we had seen before, but Pacific Rim never had to lean on slowing things down for you to see what was going on. Mikaela Banes (Megan Fox) is the hot girl at school, and Sam is hooked. She knows about cars because her dad was a mechanic, and this helps out in a couple of situations. Mikaela also decapites a Decepticon named Frenzy. Mako Mori (Rinko Kikuchi) is the best candidate to be Raliegh's new copilot. The problem is, she has a tragic past. Her family was killed by a Kaiju, though I'm guessing she's not the only one. After a rough start, she drifts well with Raliegh. Agent Simmons (John Turturro) is a member of Sector Seven Advanced Research Division. He is a conspiracy theorist to the nth degree, but he also actually knows things. 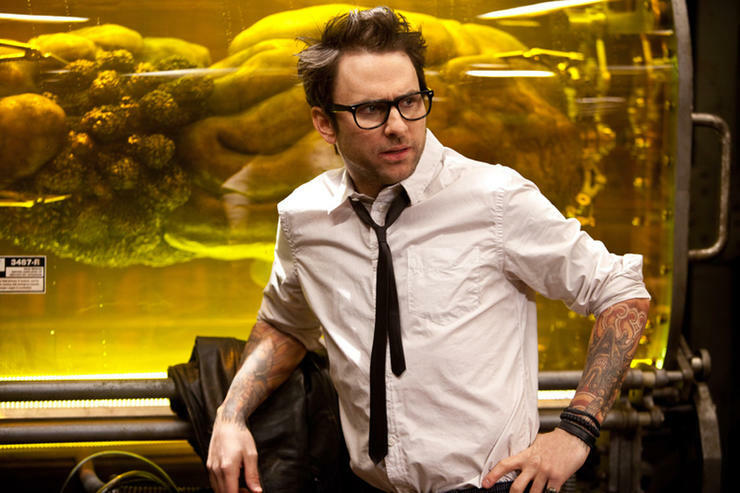 Dr. Newton Geiszler (Charlie Day) is a scientist who is trying to understand the Kaiju. He's not a numbers man, but instead tries to drift with a Kaiju brain. Winner: Pacific Rim. Turturro definitely drove some nuts in Transformers overdoing every scene, but in the first film, he works for me. It becomes overkill in the sequels. Even with liking Turturro, Day crushes him. With Pacific Rim, not only do you have Day as the comic relief, they throw in his counterpart number-guru Gottlieb (Burn Gorman) and another fun performance from Ron Perlman as Hannibal Chau. I could watch Day drink with a super-shaky hand all day, and luckily in Pacific Rim, I get to twice. Day will be the biggest winner from Pacific Rim, and yes, I realize Idris Elba is in this film. Soldiers die, Sam and Mikaela are in constant danger, Mission City gets destroyed, and some Transformers are torn apart. Bay incorporates some slow motion to try and create an emotional connection. 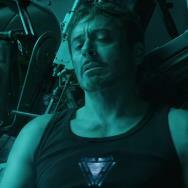 Cities get destroyed, a brother dies, a family dies, Jaeger soldiers die, and Stacker Pentecost Idris Elba tries to keep his team focused and prepared for the final battle. Winner: Transformers and Pacific Rim. It's a tie. Perhaps it's better to say "loser" instead of "winner" with this category. 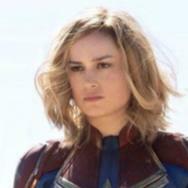 There is no emotional connection to either film. The closest Tranformers gets is with LaBeouf's excessive energy that he brings to the role. Optimus Prime is bland at best. Pacific Rim wants emotion, but never gets it. Raliegh and Mako's past is beat into the ground so much there is nothing left to feel but desperation to move on. Plus, Pacific Rim is knee-deep in cliches such as an Independence Day speech from Stacker. There's also a comically forced sequence involving Stacker which starts with one of his nose bleeds. OVERALL WINNER: Pacific Rim ties Transformers, 2-2-1. It feels dirty to tie. Plus, you're probably thinking I'm crazy, but Transformers is not as bad as you remember. You're focusing on the sequels and the easily dismissed Michael Bay. If Pacific Rim has future installments, my hunch is del Toro will make better sequels than what Bay gave us. 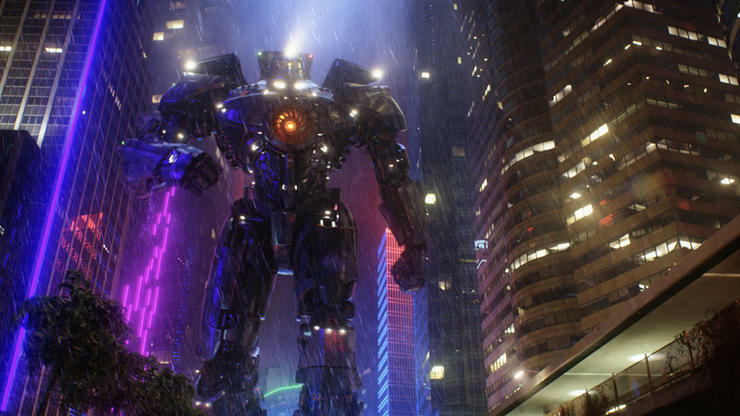 Pacific Rim is enjoyable to watch, but it's not a game changer. The dialogue is almost always terrible, unless Day is on-screen. Yes, Elba is amazing to look at on the big screen, but he needed many more "Don't touch me again" moments for me to care. Hunnam and Kikuchi don't make a memorable team. Transformers has become one of those films we're supposed to dismiss, like Armageddon or Independence Day. I liked those films at the time, then a few years pass and they lose their shine. That's my hunch for Pacific Rim.